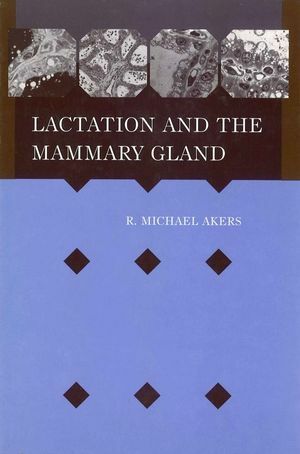 Michael Akers provides the basics for understanding mammary development and lactation and conveys the critical regulatory events in lactation. This text willl prove to be an invaluable overview of mamorary development and lactation for undergraduates and graduates studying lactation, new researchers, and as a review for established scientists. Additionally, the book will be an important resource for professionals in the animal and dairy industry and for those in other scientific disciplines such as food chemistry, cell biology, and endocrinology whose work is closely tied to mammary gland development and function. Lactation and the Mammary Gland covers growth and development of the mammary gland including comparisons between species. It imparts and emphasizes the critical nature of mammary growth and the onset of lactation at the time of parturition. Special emphasis is given to the endocrine and growth factor regulation of both mammogenesis and lactogenesis. A thorough discussion of the role of growth hormone in development and maintenance of lactation or galactopoiesis adds to this book's value as a text and reference. The author reviews the presence of hormones, growth factors, and other bioactive compounds in milk and mammary secretions as well as the potential for use of the mammary gland as a bioreactor in the pharmaceutical industry. A description of the nutritional and management factors in milk production round out the book's comprehensive coverage. R. Michael Akers, PhD., is the Horace E. and Elizabeth F. Alphin Professor, Department of Dairy Sceince, Virginia Polytechnic Institue and State Universiyt, Blacksburg. He has received numerous awards for research excellence and is active as a speaker and scholarly author in the are of lactation physiology. Chapter 1. Overview of Mammary Development. Chapter 2. Mammary Development, Anatomy and Physiology. Chapter 3. Functional Development of the Mammary Gland. Chapter 4. Milk Component Biosynthesis. Chapter 6. Endocrine, Growth Factor, and Neural Regulation of Mammary Development. Chapter 7. Endocrine, Growth Factor and Neural Regulation of Mammary Function. Chapter 8. Biochemical Properties of Mammary Secretions. Chapter 9. Management and Nutritional Impacts on Mammary Development and Lactational Performance. Chapter 10. Manipulation of Mammary Development and Milk Production. * Adequate mammary development and differentiation of the mammary secretory cells of cows, goats, sheep, and camels in order to synthesize and secrete milk is the cornerstone of the dairy industry. * Lactation is critical to the successful rearing of replacement animals that supply meat and fiber and for many companion animals. * Human welfare is intimately tied with the mammary gland and lactation especially as reflected in the significance of nursing of infants and breast cancer. * Research material for a variety of scientific disciplines ranging from cell biology to food chemistry to endocrinology is derived from a study of mammary gland development and function.